New this season, explore the rugged terrain and remarkable beauty of Húsafell Nature Reserve on specialised Rockhopper mountain bikes. We have two hiking routes (numbers 7 and 9) suitable for mountain biking that travel over challenging mountain trails of untouched nature with sweeping views over ancient glaciers. 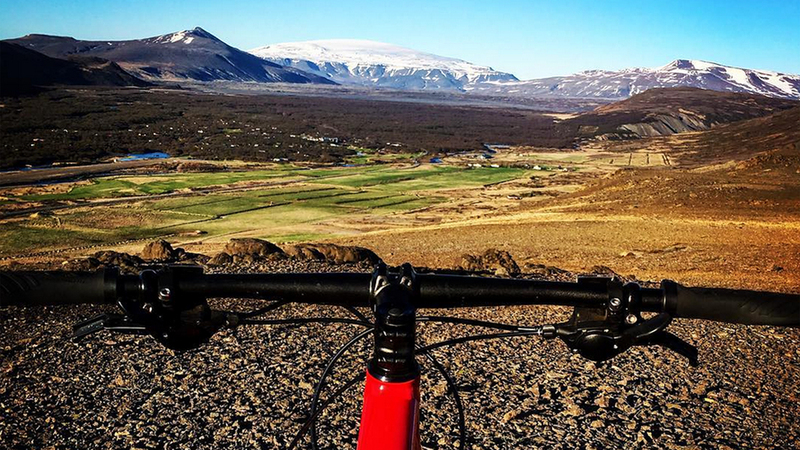 The Rockhopper mountain bikes are available for rent at Húsafell (pre-booking required) and complimentary for all hotel guests.